We all know that in 1525 King Henry VIII took a fancy to a new girl at court, the enchanting Anne Boleyn, who at the time, was a lady-in-waiting to Henry's present wife Catherine of Aragon. Henry had been married to Catherine for twenty four years and was six years younger and at this point in their marriage was unable to bear him the male heir he longed for. Convinced that he had gone against the teaching in the bible which stated that marrying your brothers wife was a sin and therefore the marriage would be childless and on this basis Henry asked for an annulment of their marriage. 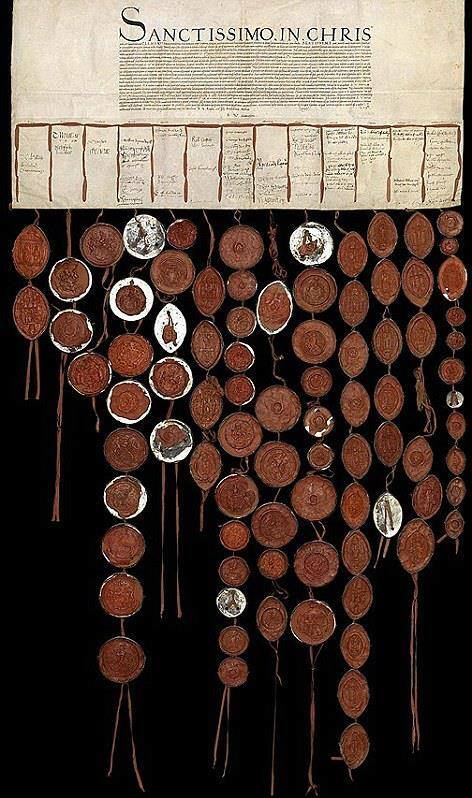 Seen here below is the petition asking Pope Clement VII to annul his marriage to poor Catherine, it has been held in the Vatican archives since 1530 and released for the world to see. 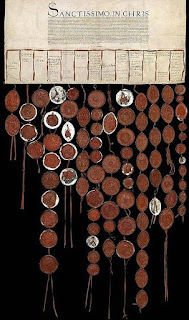 This document is on three foot wide parchment and has eighty one seals attached by red silk ribbons. 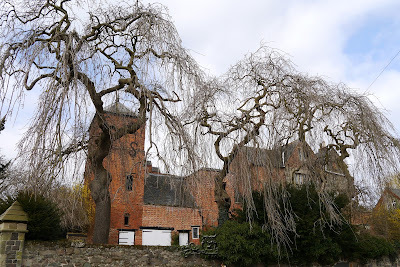 Its the 17th February 1461 in the village of Groby in Leicestershire, and as you can see the day is still bright, but soon dusk will be settling here as it will be miles away at St Albans, where Richard Neville and his army have been defeated. Laying among the dead is Sir John Grey of Groby, whose home we are standing in front of now. No doubt screams will be heard from the house as the family receive the news that their master is dead, for this is a sad occasion. Very soon though, John's daughter will make an adventurous marriage that will bring this family more wealth and power than they ever dreamed of, but it will also bring a dynasty to its knees.